Dead Love star Nicole Olson fills us in on her beginnings, playing a heartbroken romantic and using social media to grow brand presence. Hello there. Where are you based these days? The overwhelmingly hot city of Los Angeles. And is that where you were born? Did you kick off your career there? Not quite! Surprisingly enough, things didn’t really feel like they were lifting off until I was in Colorado for a bit. I was presented with an opportunity and I took it! Honestly, I never thought I would be in one, and wasn’t particularly interested in acting in film either. Filming Dead Love really changed all of that, and I truly am grateful for the incredible experience I had while working on it. This is my first project! I really poured my heart into this film, and I can’t wait to see the response. How do you feel you’ve changed as an actor since then? It’s been a couple of years since I’ve really acted and flexed my creative muscles, so it’s hard to say. As a method actor, I imagine that when I next get the opportunity to perform, that it’ll come naturally, as it always has. Have you noticed the industry changing much since your beginnings? I can’t really say! This was filmed three years ago, and I’m exploring another career at the moment so I have no juicy insight on the industry quite yet. With all the new TV channels and digital video streams, has more acting work opened up? I’m sure it has for some! These days, I’m focussed on helping brands tell stories on social platforms instead of telling them on screen. Two people who are grieving in very different ways, who manage to get pushed together. It’s an awkward and sinister love story, captured in a sleepy and snowy Colorado town that is buried deep in the mountains. Fiona is a heartbroken romantic. She’s both calculated and impulsive, and weighed down by her complicated history. What did you bring to the character that wasn’t on the page? An in depth backstory, and a lot of diary entries in the margins of my script. While we were filming, I’d often just take a backseat to Fiona and let her steer the car. She’s such a sap, really. My favorite thing I wrote in the margins was: “And I will chase him like the sun chases the moon. Forever extending my warmth in the hopes of effecting his dark edges.” I know, super cheesy. And does that include a backstory, that mightn’t have been written? Do you cook up your own backstory for the character? I definitely gave Fiona a life beyond what’s mentioned on the page. Unfortunately, the juiciest tidbit is a major spoiler so I must hold my tongue. However, I might be more tempted to share more after the film has been released. Is you director an ‘actor’s director’? The beautiful thing about this production is that we had two directors! Greg Nemer was more of our ‘actor’s director,’ and he really was phenomenal at grounding us in the moment. Who’s to say! At the moment, I’m practicing a different kind of storytelling by utilising social media to grow brand presence at Ayzenberg, and I’m loving every minute of it. But, that doesn't mean I’m retiring from acting. Life is unpredictable; I could be sent a remarkable script tomorrow and get swept up in a whole new adventure. 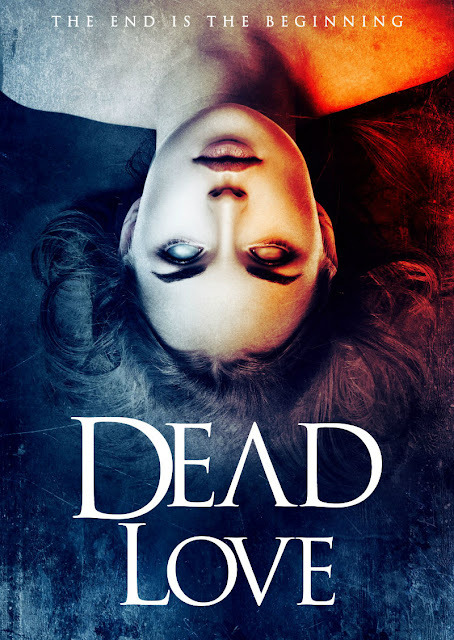 Dead Love is released this month from Wild Eye Releasing.